I was listening to a famous opera actress speak of her transition to film and her telling of how much control she had to bring her face and gestures under called to mind a connection between the operatic and Cameron’s film Avatar. 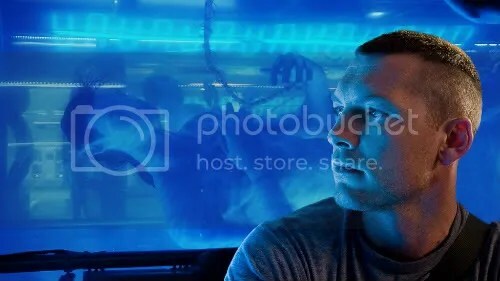 As I argued in my post Two Vectors of Avatar’s Cinematic Achievement: Affect and Space Interface, Avatar exhibited a new relationship between actorly expression and synthetic environment, facilitated by new, data-dense facial motion capture. The face became the plane of an artifice’s reality, taking advantage the power of the Hollywood close-up. The entire virtual world is in a sense sewn to the actor’s plane through the directorial affective synthesis of event, movement and volume. 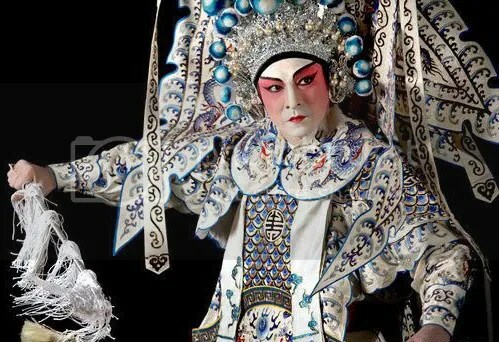 What occurrs is that cinema indeed went through a similar transformation in the genre of Hong Kong “kung fu” Action Film, which became an aesthetic expression of Peking Opera (a highly stylized, acrobatic and often melo-dramatic or mythological artform). In Kung Fu films of the 70s and 80s, the extreme physicality of Peking formal expression was married to the fantasy tradition of “chivalrous knight” wuxia literature from early in the century (the Shaw Brothers among others), then splitting into more gritty conflict themes, or the spatial expansions of famed “wire-fu”. Throughout strong moral and fantasy elements struggled in an invented space, imbued with spiritual messaging and social criticism. 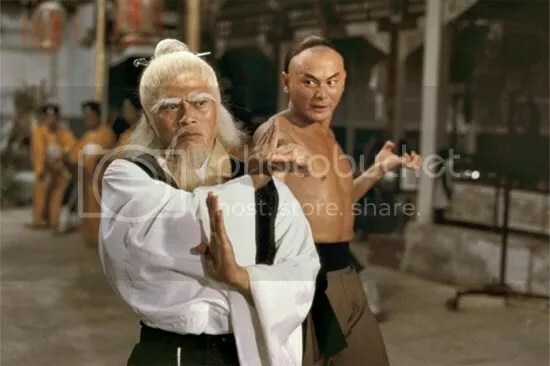 In a feature now almost lost to action cinema, one saw the character of a martial arts figure expressed in his or her fight style or capabilities, in world imbued with moral positioning. Many see all sorts of ethnic or sociological loom-work in Cameron’s Avatar, and perhaps this is much to be analyzed there, but in many ways it is an unfurling of the mythological, wuxia elements found in 70s and 80s that found their telling of personal development and realization from early films as diverse as the immortal death scene gangster classic The Boxer from Shantung to mytho-poetic gender questioning in The Fist of the White Lotus all the way to the CGI Tsui Hark remake of his own wire-fu fantasy icon, The Legend of Zu (to which I had already compared the film, among many others: Avatar: The Density of Being ).These are a vast array of an cinematic ouvre, and make perhaps the very best interpretative touchstone for both the seemingly simple-minded moral spritualism (much criticized), and the acute physical actor and environmental acrobatics. What seems likely is that while the wuxia and Peking purities began to lose much of their character force as the wire-fu transformations of space and human expression became more baroque and absurd, and budgets became bigger, the genuine transformation of Peking Opera’s masked formalism though the Hollywood close-up that Hong Kong action brought about, the way that it was able to stitch subjectivity back into the historically momentous and mythological scene and enable a person to conceive of the moral force of every angle and posture of their physical frame, has been reborn in Cameron’s technological re-invention of 3D and Capture. It can be argued that Hong Kong wire-fu with its elaborate in-space camera swing was the first 3D directorial interface of the kind that Cameron synthetically achieved in Avatar. In Cameron’s allegory, the simple, mythological and personal are woven through, but this time the acrobatics of the performer are embodied in the almost muscular transformations of space itself. Environment becomes the mutual expression of anatomy and technology. It is no longer spiritual and physical geniuses transcending the mundane world, but rather a realization that a world itself is intimately linked to both anatomy and character. What remains is of course the acolyte, studying to find the rudiments of graceful and powerful exposition, the same story of the warrior seeking to perfect or unlock a secret power, but here the metamorphosis is that of trying to enter into and fit both an anatomy and a world, a world full of capabilities beyond our common reconnoiter. A question of conscience.